In the Rhône wine hierarchy, Vinsobres sits alongside Châteauneuf-du-Pape and Gigondas, one of the eight southern “Cru” wines with its own appellation. But regardless of the official ranking, it’s fair to say that its fame is nowhere near that of its neighbours. And the great news is that means that you can find some delicious wines at affordable prices. The village of Vinsobres in late autumn, after the leaves on the vines have turned golden. 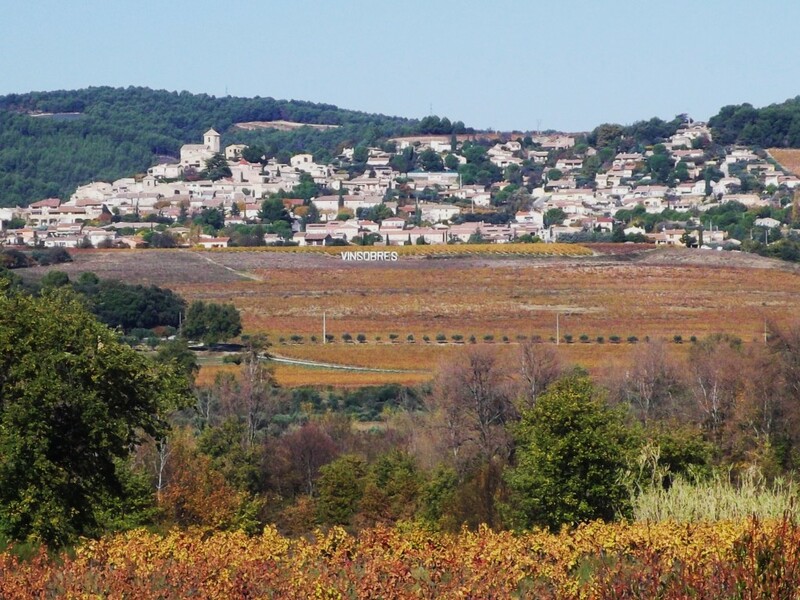 The appellation of Vinsobres is named after a small, hilltop village in the south of the Drôme departement, which makes it near the northern limit of the southern Côtes du Rhône region. 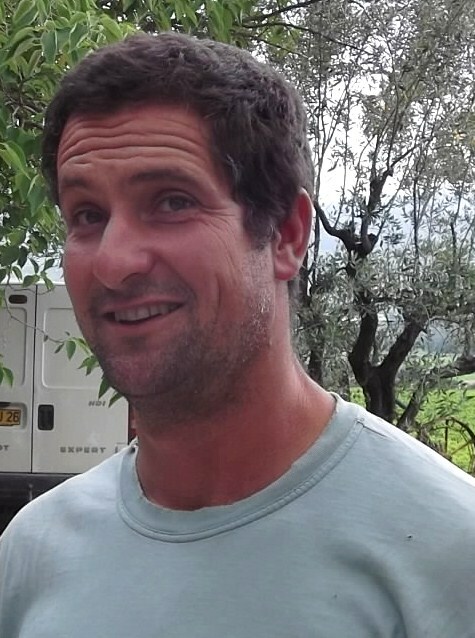 Compared to the other southern Cru – Gigondas and CdP included – Vinsobres is a touch cooler, a result partly of the (very) slightly more northerly latitude, but more importantly due to a marked mountain influence. Indeed the village looks across the valley of the Eygues river to the Baronnies hills, which are effectively the first foothills of the Alps. In Vinsobres itself the vineyards climb up to 450m, about 1450 feet. 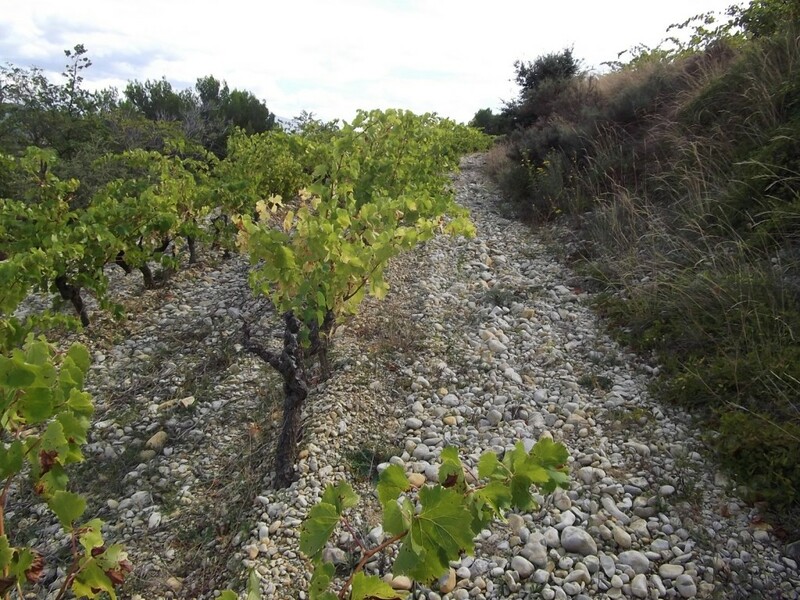 The typical “terroir” of Vinsobres – clay and limestone soils with lots of stones. Without wanting to stretch the point, after all the vineyards can be extremely hot in summer, the cooler climate means that wines are recognisably different to those of their neighbours, with higher acidity levels than, say, the typical Châteauneuf. That brings a fresher feel to the wine and clear definition to the flavours, which tend towards blackcurrant, black cherry and peppery spice. Syrah does particularly well in Vinsobres. The extra acidity combines with the tannins to produce reds that can age amazingly well: although I’ve read on a number of occasions that Vinsobres should be drunk young, I’ve tasted wines with Cédric Guillaume-Corbin of Domaine La Péquélette that were still in good form after 20 years. 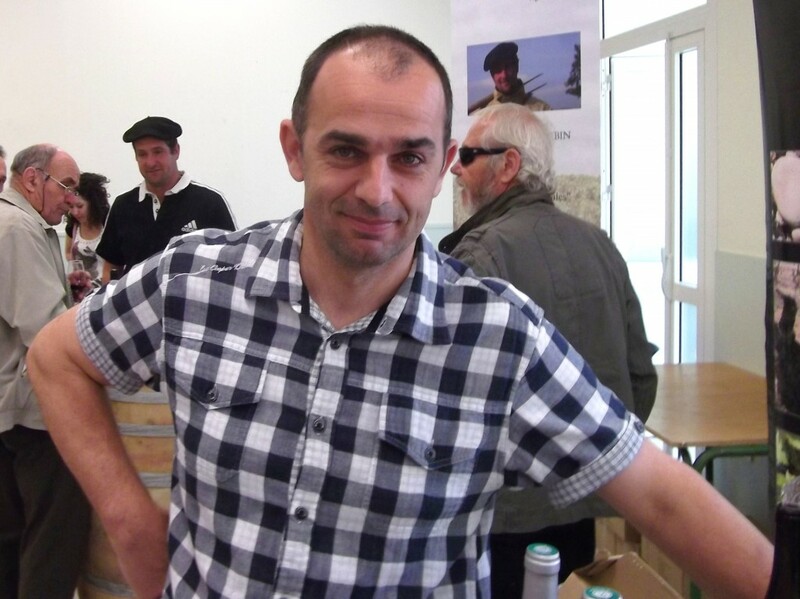 His 2010s are magnificent but still young – dense, dark and brooding, concentrated but not heavy. You notice that I talk about the red wines of Vinsobres. There are some extremely attractive whites and rosés made around the village, but none of them have the right to the Vinsobres appellation. When the red wines were granted their own appellation contrôlée in 2005, backdated to the 2004 vintage, the rest were “relegated” from their former status of “Côtes du Rhône Villages Vinsobres” and are sold as simple Côtes-du-Rhône or CdR Villages without the village name appearing. That seems particularly hard on producers like Domaine Chaume-Arnaud and Domaine du Moulin, which both make lovely whites, but says more about French politics than it does about the quality of the wine – what the French wine authorities give with one hand they take away with another. The producers have applied for the whites also to be given the Vinsobres appellation, which would right matters, but as ever with French bureaucracy, these things take time. Domaine La Péquélette – available from Vine Trail in the UK and in Selfridges wine section (now there’s posh for you), and through Vin de Garde in the USA. Domaine Chaume-Arnaud – Berry Brothers & Rudd sell their wines in the UK (which is, if anything, even posher than Selfridges), Woodland Hills Wine Co in LA is listing their delicious Vinsobres 2011. Domaine du Moulin – Bestvaluewines.com in NY state has the Vinsons’ top cuvée. Domaine Jaume – Anconas Wines and West Side Wines, both in Conneticut, are listing Jaume wines. In the UK, try L’Assemblage in Sussex or the Wine Society. But really, if you find any Vinsobres, give it a try. 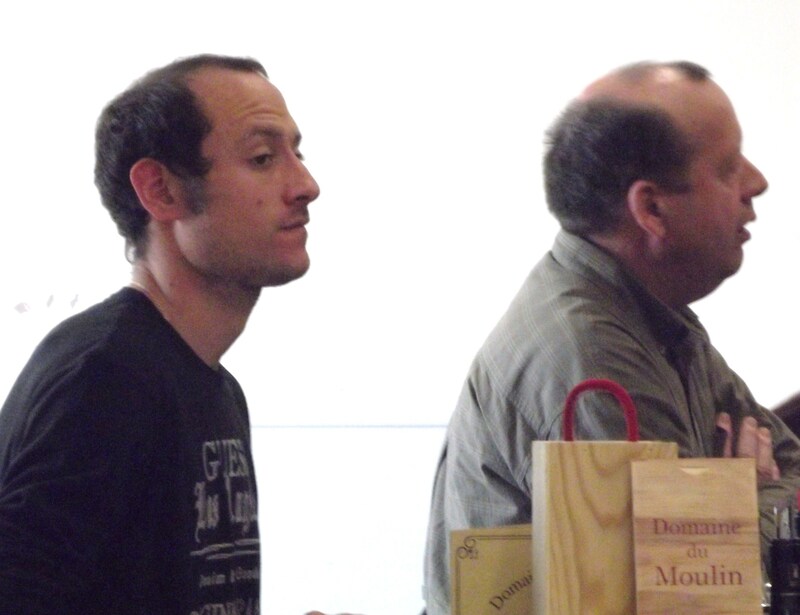 They’re southern Rhône wines with their own je ne sais quoi. Note: This is the blog of Rhône Wine Tours. If you’d like to see for yourself why we like Vinsobres so much, just get in touch – all our contact details are on the website – www.RhoneWineTours.com. That comes from Monseigneur de Suarès who was the local Bishop of Vaison-la-Romaine in 1633. I guess it was the way he said it. This entry was posted on Thursday, June 5th, 2014 at 12:14 pm and is filed under Appellation Controlee, Wine in general, Wine Villages. You can follow any responses to this entry through the RSS 2.0 feed. Both comments and pings are currently closed.